This week, along with the rest of the country, we have been thinking about our soldiers past and present. As part of our Art week we have made remembrance poppies and this morning (with skilful organisation from Mrs Baker and drone expertise from Woody’s dad—Thank you!) 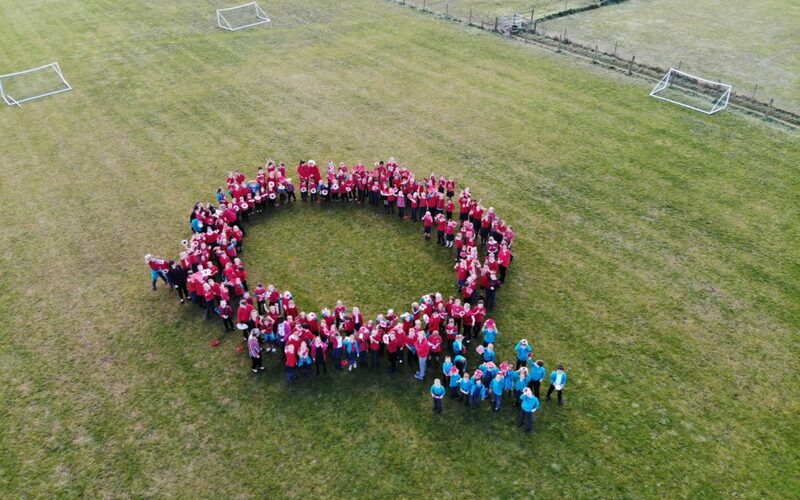 we created this human poppy wreath on the school field. On Thursday morning, a small group of Year 5 and 6 pupils were lucky enough to take part in a special remembrance service at Assington Church. We gathered at the grave of Private Alfred Jakemen who died at the age of 19 in 1819 where Lay Reader John Symons led us through a simple service which included a recording of the ‘Last Post’, a two minute silence, a recording of the ‘Reveille’ and then an opportunity to lay a wreath at the foot of the grave. The children who came with incredibly respectful making it a moving ceremony. On the way back from Assington we visited the grave of a German soldier who had been captured in France and brought to Bures to work on the land but sadly died whilst bathing in the river a year after the war had finished. Tim Underwood representing the British Legion shared this information with us. We are very grateful to John and Tim for giving up their time to help us understand more about the First World War and those who fought in it.